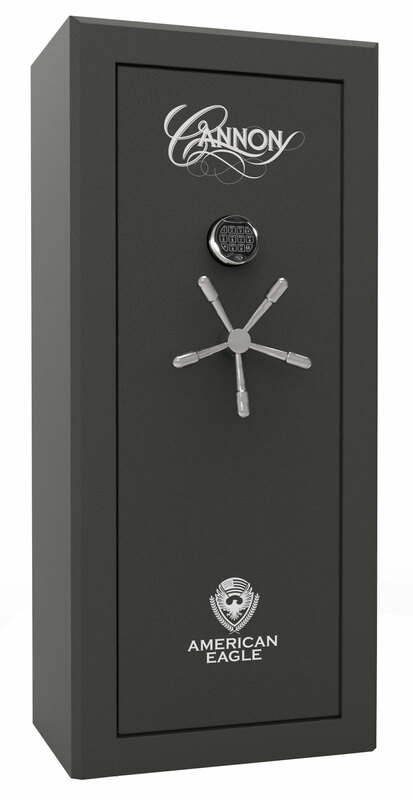 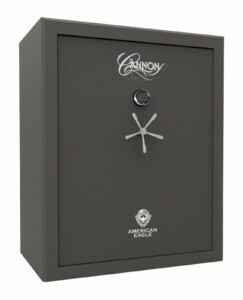 The Cannon American Eagle Series safes encompass the ideal mix of luxury amenities, security features, and value for storing your most treasured valuables. 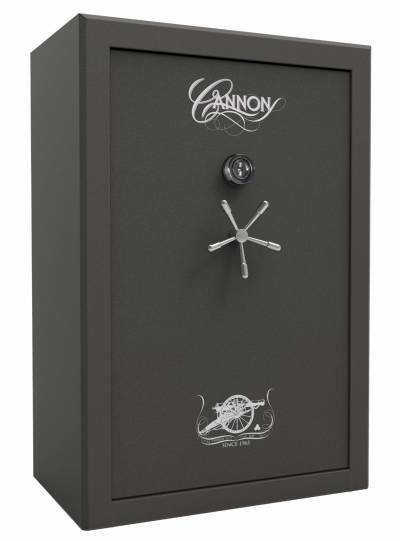 This 24-gun safe is the smallest model in the Cannon American Eagle Series, holding up to 24 firearms plus additional valuables. 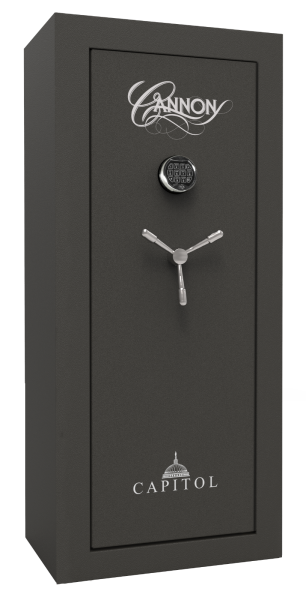 This rifle gun safe has a 60-minute fire rating, providing protection for your guns if there is a fire. 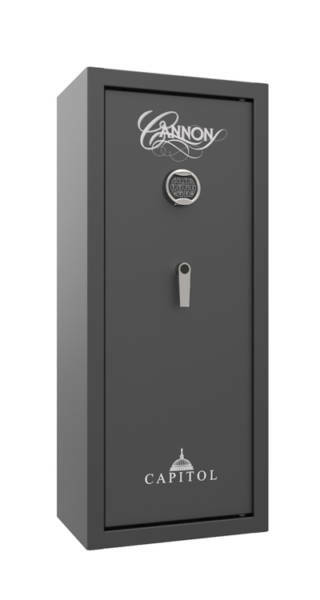 Other features that come standard with the Deluxe Plus series are an attractive interior upholstery, MOLLE door organizer kit, powered media box with USB and Ethernet ports, adjustable shelving, and a chrome three spoke handle.